Dianne Keaton’s style as the titular character in Annie Hall was a revolutionary look in the ’70s that is still admired today. Annie Hall’s iconic style was inspired by Keaton’s own wardrobe, which was way different from the fashion of the time. In fact, the film’s costume designer thought the tie/vest/khakis combo (pictured above) was too “crazy” for the big screen! Luckily, the outfit made the final cut and ushered in an era of women wearing menswear-inspired fashion. To channel Annie Hall’s style and make it work for today, it’s all about mixing menswear pieces with fitted and feminine touches. As always, a healthy dose of confidence is also key. If you’re into this look, keep reading. 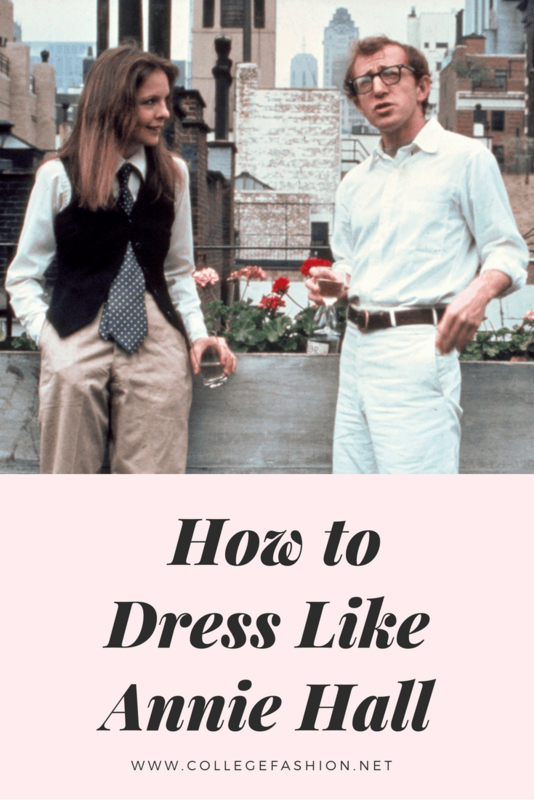 Below are four outfits inspired by Annie Hall that channel her borrowed-from-the-boys ’70s style in a contemporary way. This look is an effortlessly cool take on one of Annie Hall’s most memorable getups. 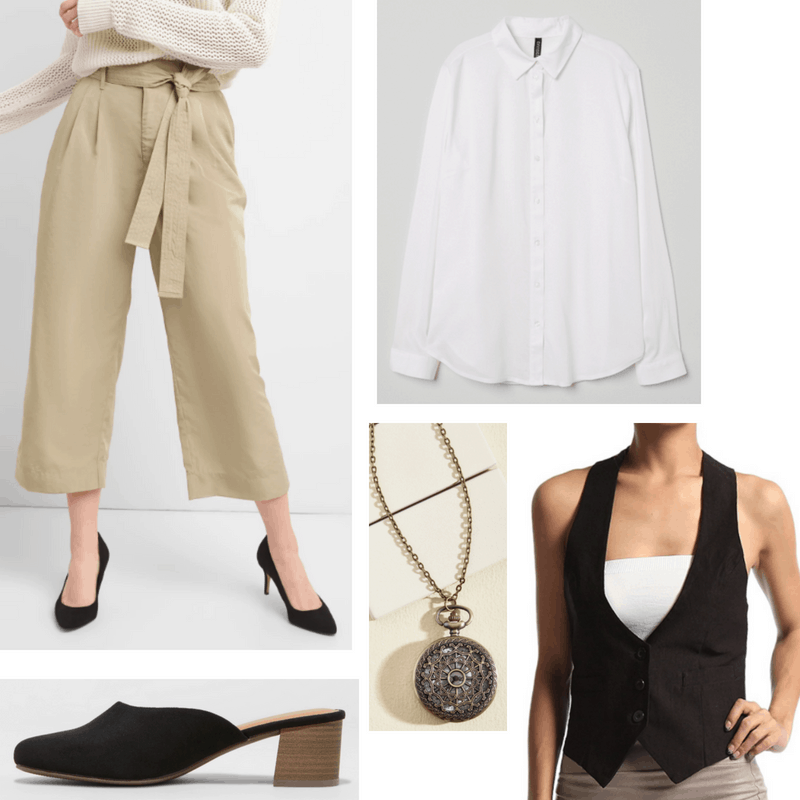 Wide-leg khaki trousers with a tie waist and cropped length are the perfect mix of masculine and feminine, while a button-up blouse is a total classic. Show off your curves in a fitted vest, then slip into low-heeled mules. They’re so right-now, yet still offer a nod to the past. The finishing touch, a pocket watch necklace, is a fun and quirky menswear reference. For a more subtle, casual menswear-inspired outfit, tuck a chic sleeveless turtleneck into high-waisted jeans. Give it the Annie Hall twist with a slouchy boyfriend blazer and velvet smoking slippers. Accessorize with round glasses and a timeless signet ring. This look could easily be worn to class, where you’d be the chicest girl in the room. If you thought suspenders couldn’t be chic, think again! Paired with a printed collared shirt, this suspender-adorned denim automatically ups your style cred. 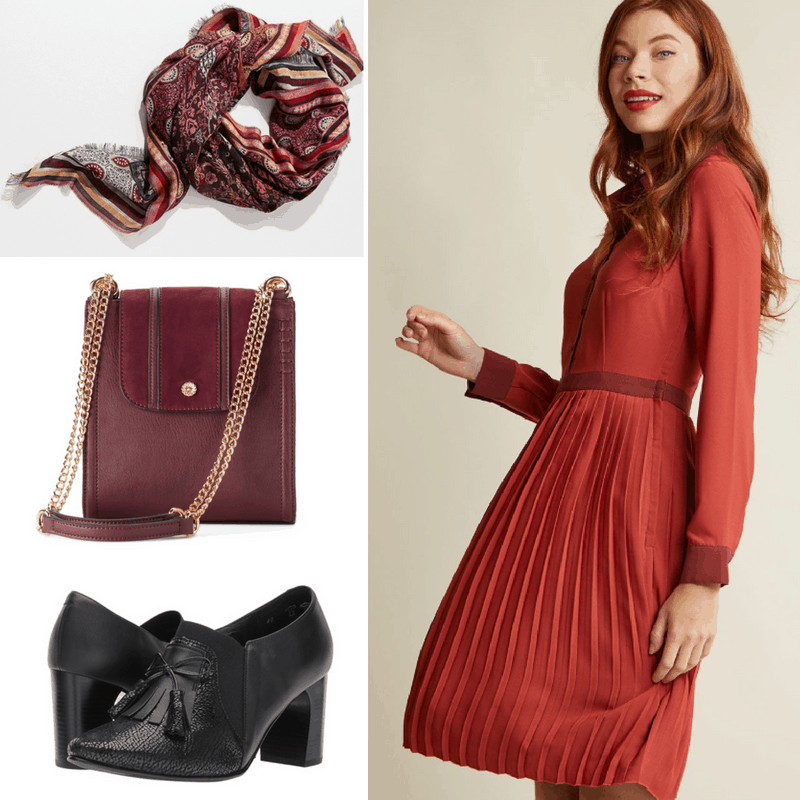 The addition of an oversized watch (that’s fitted for a woman), plus oxford-inspired booties is the perfect way to channel the Annie Hall look without looking costume-y. Complete the outfit with a very ’70s-appropriate brimmed hat. Of course, Annie Hall wasn’t ONLY about wearing trousers. If you have a preference for dresses, this ensemble is the fabulous way to reference the film without going full-on androgynous. The rust-colored shirt dress still has menswear touches, but it’s oh-so figure flattering, especially when paired with edgy loafer-like pumps. The chain-strap purse is super-classic and is sure to become a wardrobe favorite. A patterned scarf can either be tied to the bag for added interest or worn around the neck as a sophisticated nod to a men’s necktie. Have you seen Annie Hall? Are you inspired by Annie Hall’s style? Do you think you could rock these looks? What do you think of menswear-inspired fashion? Let us know by leaving your comments!